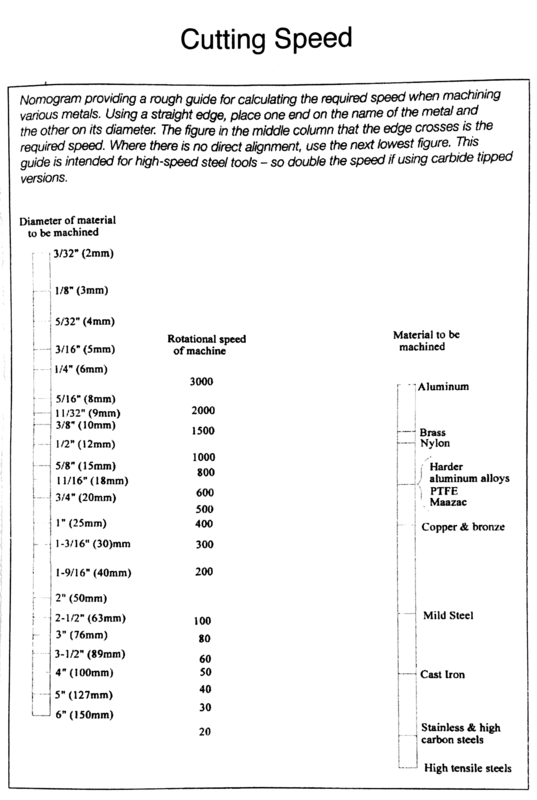 There is a mandatory 4-5 hour safety and training course that must be taken before the lathe may be used. It is a 11×25 Advance TY-1125BH metal “engine” lathe, manufactured in 1985, which is actually a generic Taiwanese lathe that is sold under many different brand names. The same basic design is still in production now and being sold by most major hobby machinery manufacturers (Grizzly, Busy Bee, etc), so parts should be somewhat available. 11×25 means that a maximum 11“ diameter stock can be turned over the bed (NOT over the cross-slide however! ), and a maximum length of 25” stock can be turned between centres (NOT in a 3/4 jaw chuck!). 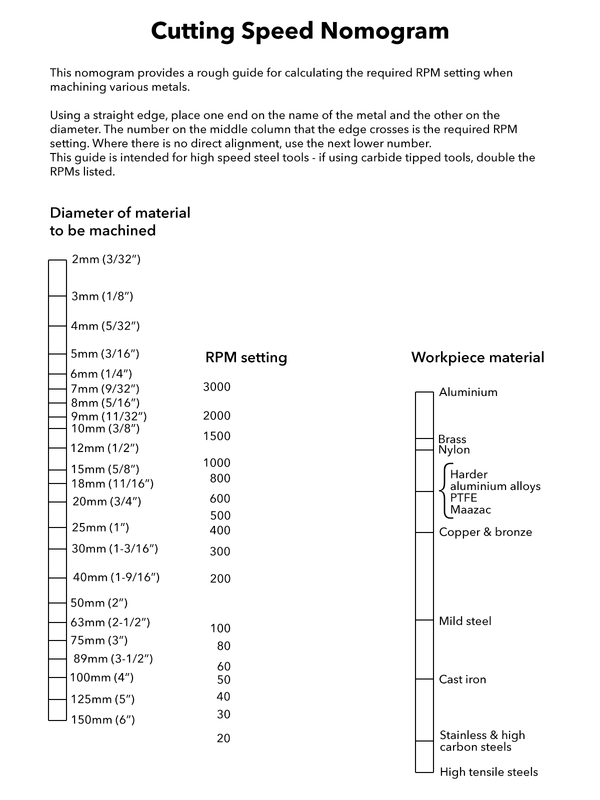 Manuals for various almost identical lathes are located in the VHS-Documentation Google Drive shared folder which can be accessed below. Each manual is quite different, covering different topics in different depths and at varying qualities of both images and writing, so take a look through them all for the information you're looking for. Anything that creates dust or grit. Pretty much anything that's not metal or plastic. When getting into hardened, tempered, or annealed steels along with carbide (necessary) cutters, cutting speeds and depths can be unpredictable when going for a high-quality finish, and experimentation may be required. The video The Effects of Heat Treatment on CrMo 4140 Steel in Turning Operations Part 2 is a great example of this, but do note that the video is from a much larger and more rigid lathe than ours! Part 1 has some good background information at the beginning, but Part 2 usurps its results. These links are not an endorsement of a specific vendor, they just happen to be who I bought mine from and they are in Delta. Routine maintenance Dec 2015 Richard S.